Etnica circa 1999 was, according to many, already on the verge of losing the magic which launched them to the stars! They are without a doubt one of the greatest collectives to have ever emerged out of the whole old school goa trance genre. However, having lost one of its core members, Carlo Paterno, in the summer of '98, many started to turn their back on this talented group, not liking the new musical direction they took at the turn of the century. 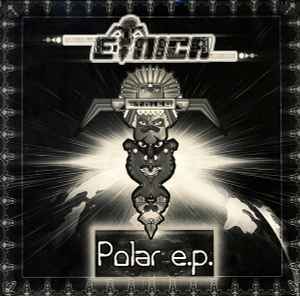 That said, regardless of the critics and subjective opinions, this EP is more than worth having because of the A side: Mind Altering Drugs is one of the greatest dance floor shakers Etnica ever crafted. Simple as that. I find it to be the last amazing tunes to come out of their studio, but that's just me. After this it was all downwards. But my, this IS something to get the party started. Sharp and crystally clear sounds and effects hitting you from every possible direction, killer samples and a humongous bass line. Everything falls in place here. It is just perfect. Too bad they never followed with anything similar. Essential!